Shipped to USA Only! 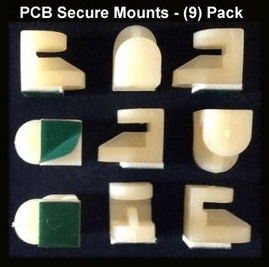 – Due to new 3/4″ width 1st Class shipping restrictions. 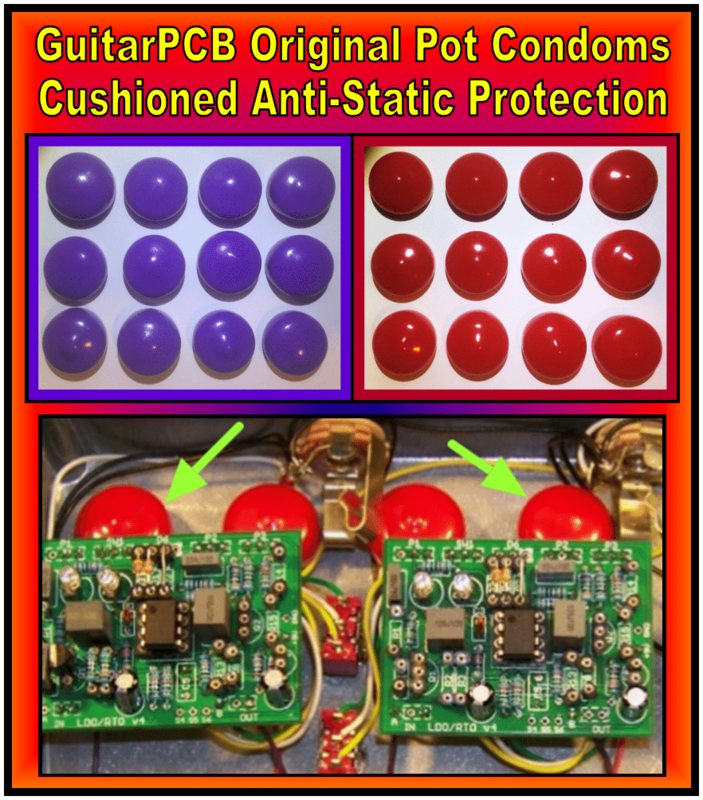 These are the Original Pot Condoms™ that make it look good under the hood while protecting your Circuit Board from shorting out against the Potentiometers, as well as providing an extremely soft, Shock Resistant Base for your Circuit Board unlike the rigid clear plastic ones! 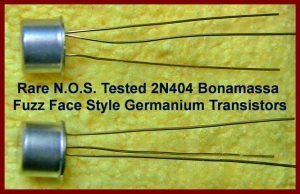 Remember these are soft like a pillow against your precious circuit board! 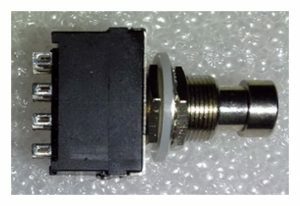 Never use On-Board Potentiometers without them. A Dozen is enough to do 3- 5 pedals on average! 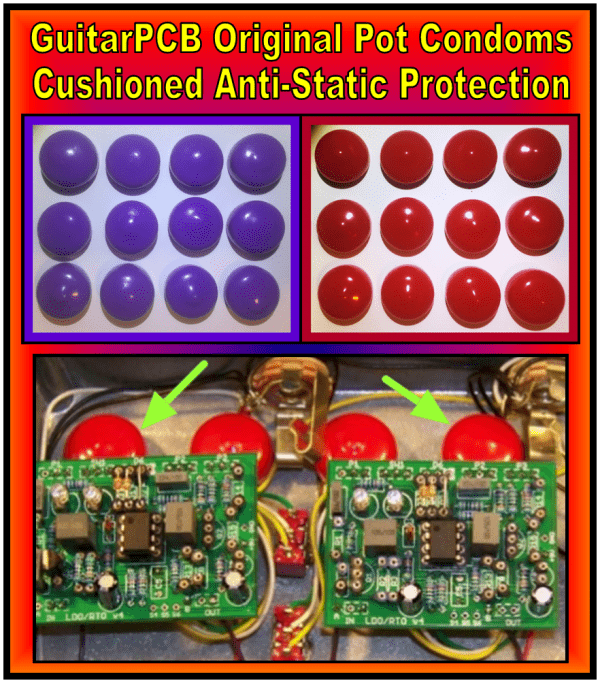 Pot Condoms are for 16mm Pots and are Heavy Duty, Snug, Anti Static, Flexible, Reusable and really just perfect!